Mike Babcock’s introductory press conference as the 30th coach in Toronto Maple Leafs history on May 21st was one of the most noteworthy moments of the offseason, but this statement Babcock made stands out. The Toronto Maple Leafs, the team with one playoff appearance in the past 10 seasons and no championship parades since before the moon landing, Canada’s team? We have seen many a rebuild in the recent past, ranging from successful turnarounds like the Chicago Blackhawks and Los Angeles Kings to long and painful attempts, such as the current Edmonton Oilers rebuild. Generally, a team hires short-term players and front office members, hoping to finish near the bottom of the pack. This ensures that they secure a high draft pick, landing themselves a future superstar in the process. The Buffalo Sabres, coming off two consecutive last place finishes in the NHL, recently fired coach Ted Nolan and are looking to make more changes to their scouting staff. However, GM Tim Murray is the man behind the operation, and he has quickly loaded up the Sabres with a boatload of young talent; Jack Eichel and Sam Reinhart are core players the Sabres want to build around in the coming seasons. The Toronto Maple Leafs, after years of being mired in mediocrity, finally committed to a team rebuild last year, which prompted team president Brendan Shanahan to refer to the upcoming years as “scorched Earth“. However, the early stages of the Maple Leafs rebuild have included a few unexpected developments, and the team is entering uncharted territory with their unique decisions in the first full offseason for Brendan Shanahan. The Toronto Maple Leafs are one of the most controversial teams in the league. While having the privilege of boasting one of the league’s most loyal and passionate fanbases, the Leafs consistently fall short of expectations placed upon them before the season. Despite the Maple Leafs making the playoffs just once since the lockout, in the 2012-2013 season, the team has been one of the most watched and profitable franchises in the NHL for a long time. They have finished in the top-10 in the league in attendance every season since the lockout, and sold out every home game for 13 years before their impressive attendance streak ended last season. Therein lies the problem. The team remains outstandingly profitable for Maple Leaf Sports and Entertainment, the team’s owners, as the Leafs recently were named by Forbes as the most profitable team in the NHL, with a team value of $1.3 billion dollars. That is nearly $200 million more than the next most valued team, the New York Rangers. The most played-out argument in Toronto’s sports scene is the continued fan support and high ticket prices of the sad-sack Maple Leafs, despite their poor performance on the ice. With the Leafs hitting rock-bottom last season, firing their entire coaching staff and finishing second-last in the Eastern Conference, fans starting showing their frustration. 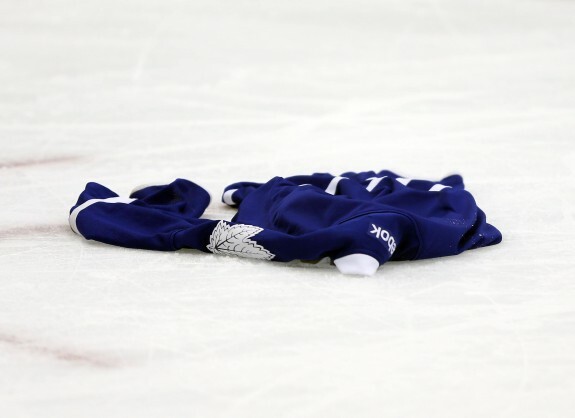 As previously mentioned, the Leafs’ 13-year sellout streak ended in a game against the Minnesota Wild, and much was made of the fans’ decision to throw jerseys on the ice during losses. 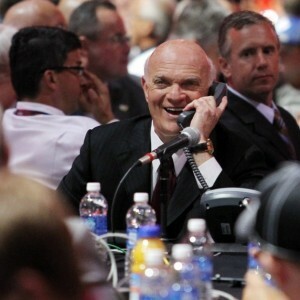 So, with the team’s supposedly strong fan support starting to show cracks, the Maple Leafs decided to show some initiative and a clear team direction after years of wasting high draft picks, trading early round selections, and handing out big and expensive free agent deals. The front office was overhauled, an expensive and long-term deal (Phil Kessel) was shipped out, and the team finally has some notable prospects after years of ranking near the bottom of the NHL’s prospect lists. While the 6’5″ Gauthier could still carve out a nice career for himself as a two-way centre, it’s hard to envision him having a bigger impact than the dynamic Burakovsky or the tenacious, skilled Dano will in future seasons, especially after both cracked the NHL and played important roles last season at the tender age of 20. Under Mark Hunter and the new regime, the team has made a marked effort in trying to upgrade the skill on their roster, placing an emphasis on talent over size unlike departed GMs Burke and Dave Nonis have done in previous seasons. Hunter, the longtime GM and part owner of the OHL’s London Knights, brings a level of expertise and longstanding success unlike the team has had in its scouting department for a long time. 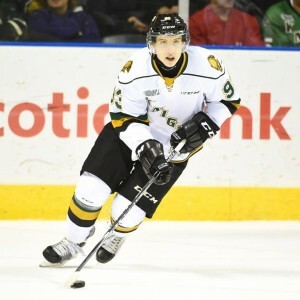 Already, the Leafs have made good on their promise to favour talent over size, passing on 6’3″ Noah Hanifin and Pavel Zacha with the 4th overall pick to take dynamic but undersized forward Mitch Marner. Away from the spotlight of a top-five pick, however, Toronto continued to select players who would’ve otherwise been off Burke’s radar due to their small stature. In total, the blue and white made nine selections after trading out of the 24th overall slot; they picked just three players over 200 pounds and five players under 6’0″. It’s not often a team changes their drafting and player evaluation system so drastically, even with an entirely new scouting regime. 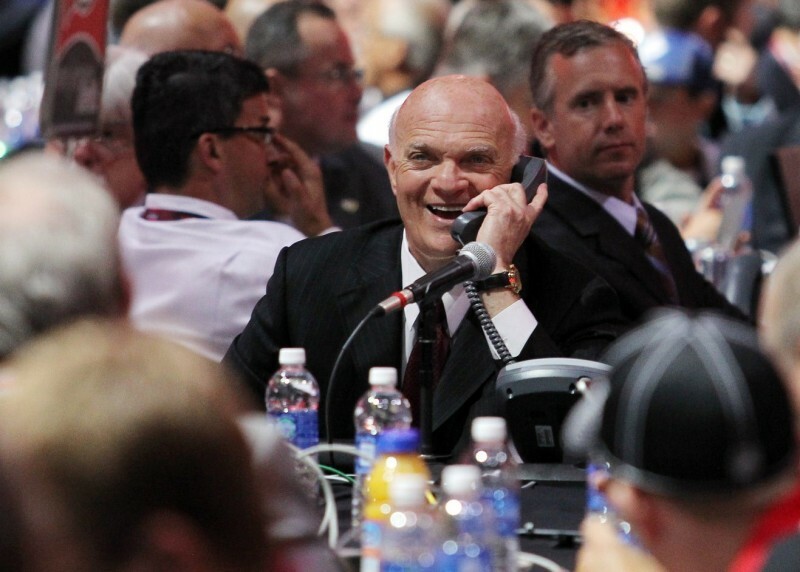 Organizations like to stick to their draft strategy, which has handsomely rewarded some teams such as the Detroit Red Wings and Tampa Bay Lightning (whose GM is a former Red Wing understudy). While Toronto is committed to keeping their draft picks and building their team through good player drafting and development, which is a departure from the same squad that has seen free agent failures such as David Clarkson, Mike Komisarek, and more since the lockout. Shanahan’s “scorched Earth” blueprint was a foreign idea to the hockey-mad city of Toronto just a few short months ago, but there are some nice pieces that are in place after the front office of Hunter, Shanahan and wunderkind Kyle Dubas did their offseason wheeling and dealing. Young defenseman Morgan Rielly has been a blueline mainstay for two years and looks to be a future star. Rielly’s roommate, Jake Gardiner, has been the subject of trade rumours for well over two years now, but is locked in until 2019. James Van Riemsdyk and Nazem Kadri are just 26 and 24, respectively, and have shown the talent to be top six forwards on a contending squad. 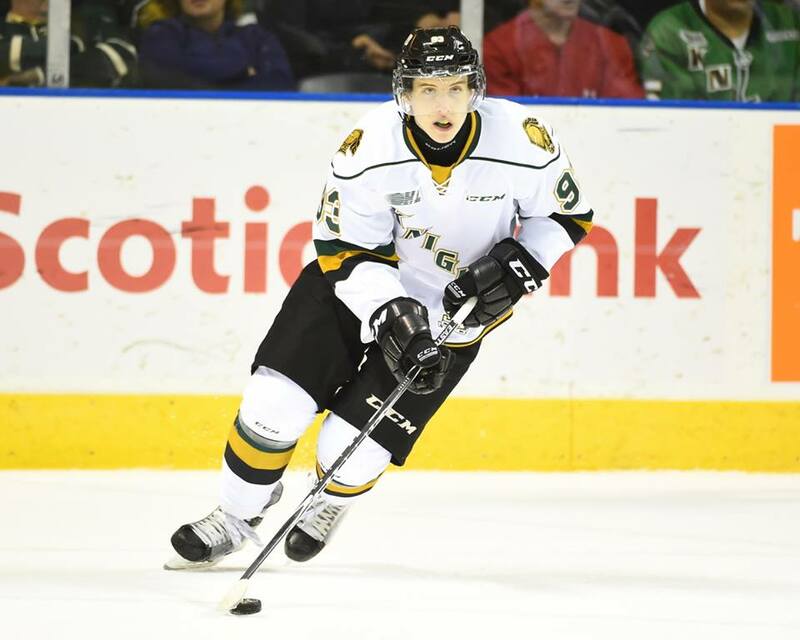 The team’s recent drafting of Marner gives them a potential cornerstone offensive prospect, with possible one more on the way in 2016. While it’s too early to tell how this unusual change in mindset will play out, team president Brendan Shanahan and co. have definitely made it clear in what direction the Leafs are heading. Many other teams that have undergone a rebuild have gone the route of an inexperienced general manager, an up-and-coming hockey mind who has served as an assistant to a successful team in the past and is looking to prove themselves. Calgary, Buffalo, and Dallas followed through with this idea, hiring Brad Treliving from Arizona, Murray (Ottawa), and Jim Nill (Detroit). The Leafs bucked conventional wisdom when hiring a new GM, as they passed on internal candidates Hunter and Dubas in favour of longtime Devils GM Lou Lamoriello. The Leafs had been lambasted in recent seasons as one of the worst possession teams in the NHL, highlighting the need to modernize their front office and move on from the notoriously old-school Burke regime. Hiring the 27 year old analytics whiz kid Dubas looked to be the first step in that direction, and the addition of prospect whisperer Mark Hunter upgraded another area in which the Leafs’ old-fashioned mindset had contributed to the underwhelming present-day state of the team. With Dubas and Hunter splitting General Manager duties, and both relatively short on NHL front office experience, it stood to reason one of them would take over as the new GM. However, the hiring of Lamoriello pulled the Leafs’ attempt to modernize into question, as Lou’s handling of the Devils in recent seasons has left New Jersey without much NHL talent and with one of the worst farm systems in the league. On the coaching side, many rebuilding squads elect to have a transition period in regards to their bench boss. Not too many teams want to have the same coach head the team that places near the bottom of the standings when their projected competitive window opens. Buffalo, who had employed Ted Nolan from 2013-2015, fired him recently as they look ahead to contention sooner rather than later with the additions of Evander Kane, Ryan O’Reilly, and Jack Eichel. Recent teams to undergo rebuilding periods such as the Calgary Flames and Chicago Blackhawks also employed short-term coaches to take them through down seasons, as Brent Sutter and Denis Savard were unceremoniously replaced before the team’s fortunes took a turn for the better. After years of struggling between contention and a full rebuilding phase, it’s refreshing to see a team with as rich a history as the Toronto Maple Leafs finally with a clear-cut direction and a well-regarded management team. While many Leafs supporters point to recent successful rebuilds like Chicago, Los Angeles, and even the young and improving Calgary Flames, the past is littered with failed rebuilds and brief and disappointing playoff runs. While Toronto is challenging the template of rebuilding that teams have followed for years, it’s still too early to tell whether or not it will pay off. The much-maligned Toronto Maple Leafs have finally waved the white flag, and have already started putting the pieces in place for a solid foundation. With some stability in the front office and a strong prospect pool highlighted by 2014 first rounder William Nylander and 2015 fourth overall pick Mitch Marner, the Maple Leafs could potentially be on the path back to respectability.